Original help article was acquired from Google. Virginia Tech has prioritized graduate education and scholarship as central to its academic mission and strategic goals. As such, the mission of the Virginia Tech Graduate School is to enhance the preparation of graduate students for advanced career achievement and better equip them with knowledge and skills for meaningful and relevant contributions as citizens in the 21st century society. The Graduate School is committed to providing a rich learning environment that attracts and retains outstanding graduate students to work closely with outstanding faculty. Working together, faculty and graduate students create new knowledge and scholarship to address the complex issues of today's society and tomorrow's future. During the 2015-2016 academic year, the Virginia Tech Graduate School enrolled 6,773 graduate students university wide in 150 master’s and doctoral degree programs. Approximately 72% of those students attend classes on the Blacksburg campus, while 28% are at Virginia Tech extended campuses throughout the Commonwealth of Virginia (e.g., Abingdon, National Capital Region, Richmond, Roanoke) and at programs throughout the world (e.g., China, Europe). Doctoral students account for more than 45% of the graduate student enrollment. International students representing more than 100 countries make up 32% of the enrollment. Students from diverse backgrounds account for 15% of the population; the male/female ratio is approximately 59/41%. These students work with faculty in eight colleges, more than 14 interdisciplinary programs, and the Graduate School. The colleges include the College of Agriculture and Life Sciences, College of Architecture and Urban Studies, Pamplin College of Business, College of Engineering, College of Liberal Arts and Human Sciences, College of Natural Resources and Environment, College of Science, and Virginia-Maryland Regional College of Veterinary Medicine. In addition, Virginia Tech has partnerships with Wake Forest University in North Carolina, Georgetown University in Washington DC, the Virginia Tech Carilion School of Medicine, and many international universities to offer collaborative graduate degree programs. Another unique feature of graduate education at Virginia Tech is the establishment of the Graduate Life Center at Donaldson Brown. The Graduate Life Center (GLC) provides an intellectually stimulating and rich learning environment that builds a strong graduate community, as well as the physical space and institutional place for 21st century graduate education. See http://www.graduatelifecenter.vt.edu. The goal of the Graduate School is to provide quality graduate education in the context of a progressive and vibrant academic community for work in a diverse and inclusive global society. Virginia Tech is accredited by the Southern Association of Colleges and Schools Commission on Colleges to award associate, baccalaureate, masters, and doctorate. Contact the Southern Association of Colleges and Schools Commission on Colleges at 1866 Southern Lane, Decatur, Georgia 30033-4097 or call 404-679-4500 for questions about the accreditation of Virginia Tech. Virginia Tech offers courses and degree programs at several extended campus locations: Hampton Roads, National Capitol Region (several sites), Roanoke, Richmond, Danville, Southwest Virginia. 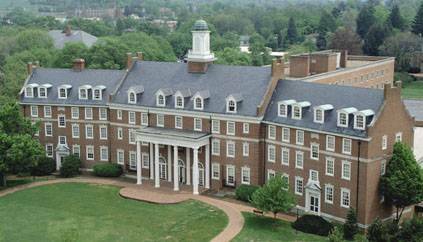 Virginia Polytechnic Institute and State University is a public land-grant university serving the Commonwealth of Virginia, the nation, and the world community. The discovery and dissemination of new knowledge are central to its mission. Through its focus on teaching and learning, research, and outreach, the university creates, conveys, and applies knowledge to expand personal growth and opportunity, advance social and community development, foster economic competitiveness, and improve the quality of life. The mission of the Virginia Tech Graduate School is to advance graduate education as a critical component in the transmission of new knowledge, new research, new ideas, and new scholarship in the university. The Graduate School is committed to providing a rich learning environment that attracts and retains outstanding graduate students. They work closely with outstanding faculty to advance knowledge and understanding that enables us to address the complex issues of today's society and tomorrow's future. Our viability as a top research university depends upon our ability to prioritize graduate education and research as central to the academic mission of Virginia Polytechnic Institute and State University.